To engage the Acer community via social media in the week before Easter. 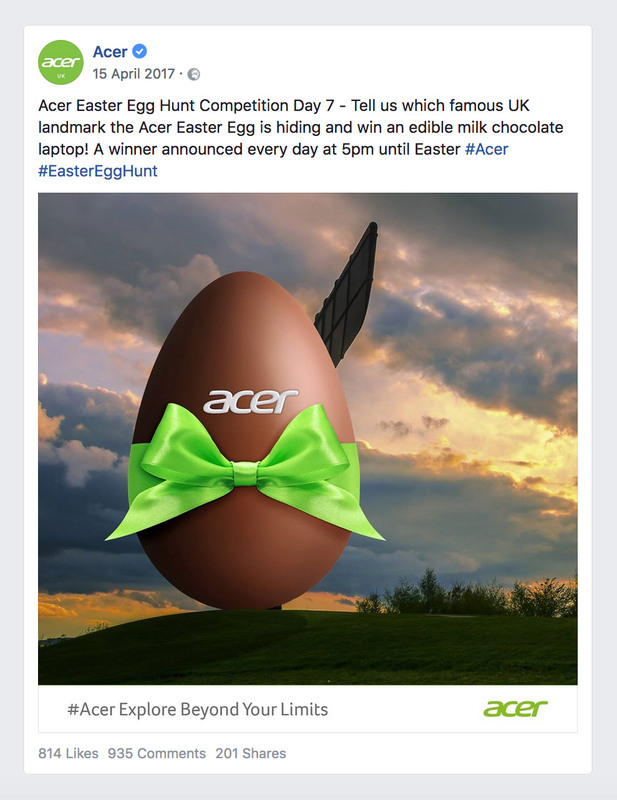 An Easter Egg Hunt, identifying which famous landmark was hidden by the Acer egg. We posted the Hunt once a day for eight days until Easter Monday. The prize was an edible chocolate laptop. The Hunt generated the biggest reach and highest interactions since 2015. Total reach was 148k with 14.5k interactions and comments. Increase in reach of our own Facebook page was 319%. This campaign was completely organic.